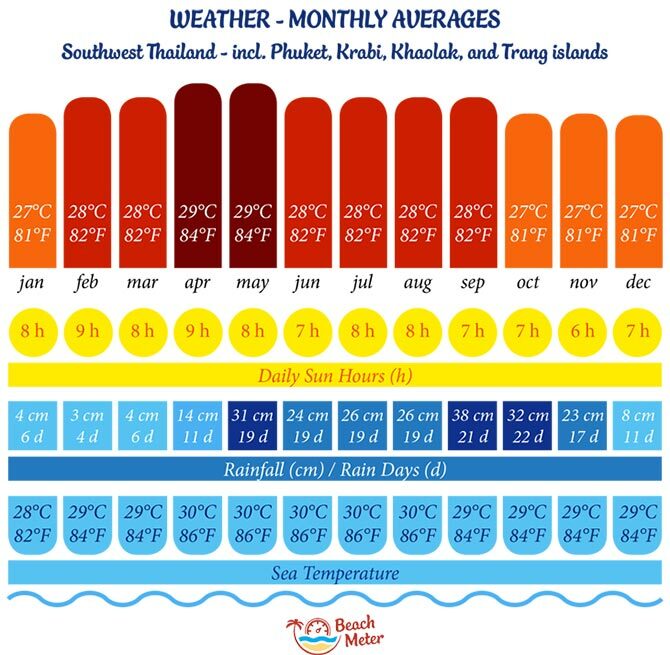 Did you see our new Thailand infographic and destination page? We have been working behind the scenes, and can now present our destination page for Thailand. The page will continuously be updated with more useful material. This page is meant to inspire you and to give you a quick overview of what the country has to offer for travellers and beach lovers. You are welcome to embed this infographic on your website. Just go to the Thailand destination page and copy the code provided below the image. In the “Numbers” section, you can see that China, Malaysia, and Russia provide the most international visitors to Thailand on a yearly basis. We wanted to stretch this data further to see which foreign countries have the per capita highest visitor rate. The results are shown in “Most Popular Among”-section. We omitted countries directly neighbouring to Thailand. While the “Top Arrivals by Nationality” will show you which foreign countrymen and -women you are likely to meet on your holiday in Thailand because of their total number of arrivals, the “Most Popular Among” results will inform you of the countries in which the likelihood of any one person from that country will visit Thailand is highest – i.e. where Thailand is the most popular travel destination per capita. Thailand can be visited all year round, but when and where to go essentially depends on your preferences. Do you want to do surfing in Thailand? Then head off to the west facing coastlines of Thailand during summer (April to November). But if you want to dive or snorkel in these areas, the rest of the year is more suitable. You may want the most pleasant weather conditions (coolest, lowest humidity, less rain) which are generally from November to March. If you prefer better deals and less crowdedness, you should avoid the high and peak seasons. We will continue to add useful information on the page, and we will provide links to individual pages for Thailand’s islands and beaches as they go online. In these sections, you will find more detailed information about the specific beach destinations. Until then, please enjoy our Thailand destination guide and help us spread our beachilicious infographic!